The Americans With Disabilities Act (ADA) takes steps to ensure that people with physical and cognitive disabilities have access to the same services, accommodations, and facilities as the rest of the population. This set of regulations applies to both the public and private sectors, and includes specific stipulations for websites and eCommerce. JLWebvisions, LLC is a full-service web design agency, and we are well equipped to help your business make the jump to ADA compliance. Doing so will not only eliminate a large degree of legal liability, but will also connect your business with an entirely new group of consumers. It’s a great way to grow your business and eliminate risk! The Americans with Disabilities Act (ADA) was originally passed in 1990. However, it has continued to be updated since, most recently in 2016, in order to keep up with the changing landscape of American commerce. This includes websites, and that’s where we come in. Gaining ADA compliance can be confusing because there is no official certificate or stamp of approval that businesses can obtain to “check it off their list.” Rather, ADA compliance is about due diligence. Businesses need to follow the set of guidelines and best practices set forth by our legislature to make sure that they are maintaining compliance. Doing so will serve to eliminate risk of liability in the event of a law suit. Don’t use PDFs. Another simple adjustment you could make is to not post documents in PDF format. Image based formats are challenging to the visually impaired because they cannot be read by screen readers or text enlargement programs. Allow for adjustments in color and font size. Web designers often design in such a way that does not allow the user to adjust font size or color. While they may be protecting their brand, they are also inhibiting some users. 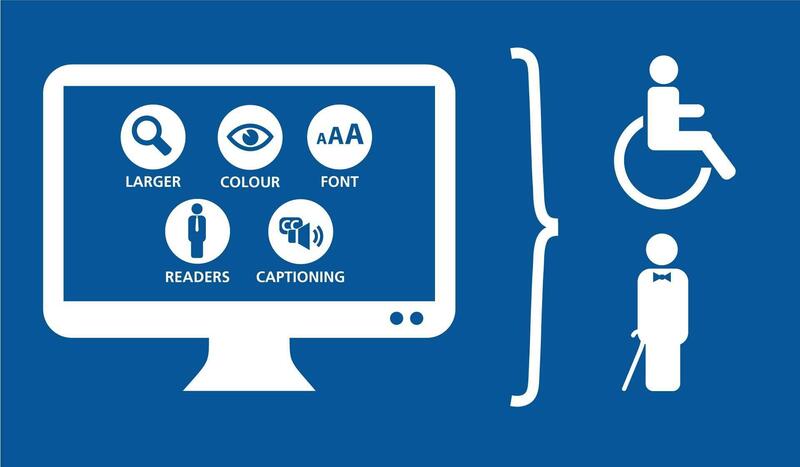 Many visually impaired need to use high contrast color settings or very large fonts to read a website. Don’t design your website in a way that makes it impossible for them to do this.